Submitted by lynn on Wednesday, November 21, 2018 - 12:30pm. 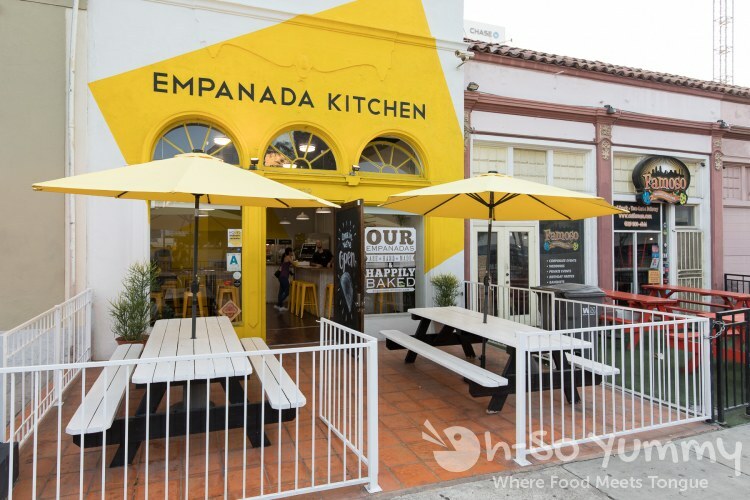 Dennis and I were invited to check out Empanada Kitchen in downtown San Diego. 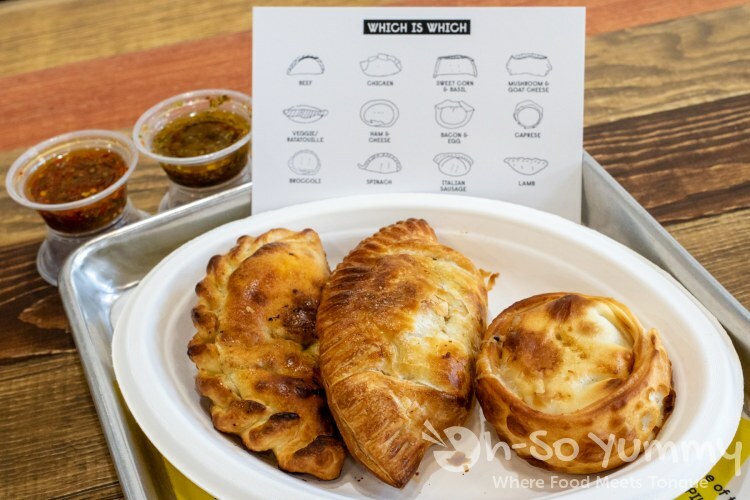 This business advertises "hand-made" and "happily baked" since these empanadas are made fresh throughout the day (ie not leftovers from a previous day). 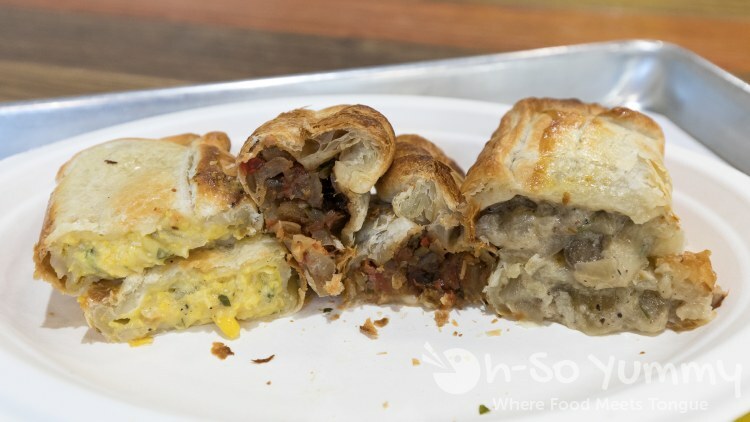 It was perfect timing as we had been craving empanadas since our last bite at Havana Kitchen, a bit of a drive. 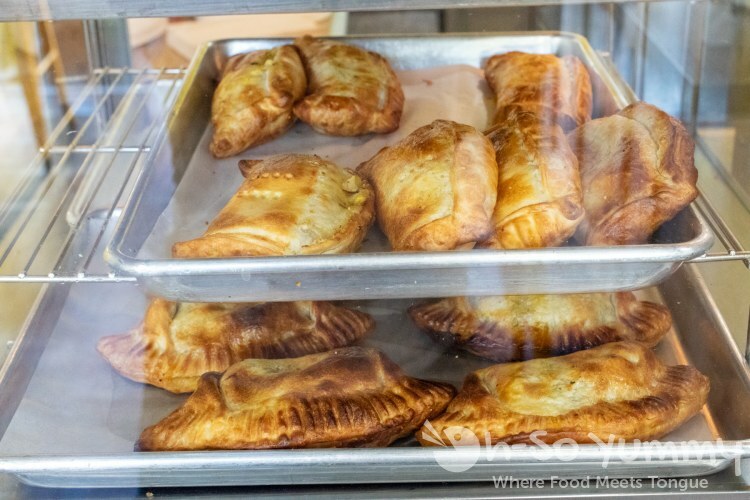 The location of Empanada Kitchen is along the outskirts of downtown, along the trolley tracks on C Street. You'll see it immediately when nearby due to the bold yellow. The inside continues the color trend and could literally brighten your day! The stars of the show can be seen in the display glass window, ready to be eaten! This is just two of the flavors available and there's a little something for everyone in terms of tastes! The menu lists 10 items including seasonal ones which add even more variety. I was able to chat with the friendly owners Dan (left) and Matias (right) and honestly felt like I was talking with an old friend! 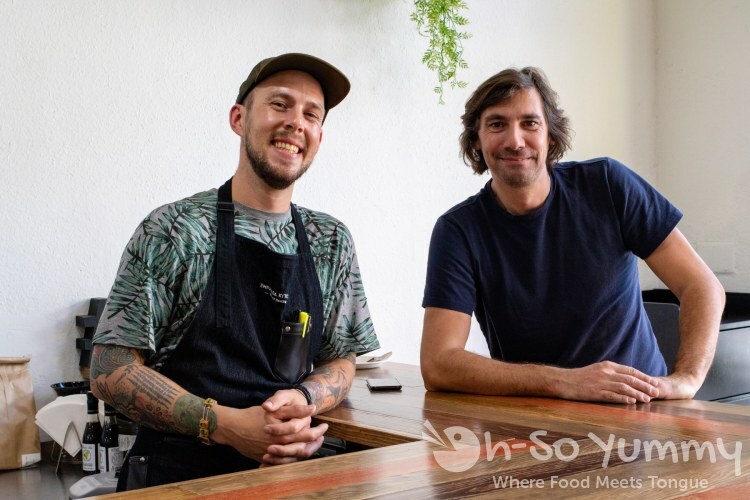 They both started out with their own booths at the La Jolla Open Aire Market and after meeting, took a chance to join forces to open a brick and mortar spot! They still participate in the La Jolla Open Aire Market on Sundays so this downtown location is closed that day. 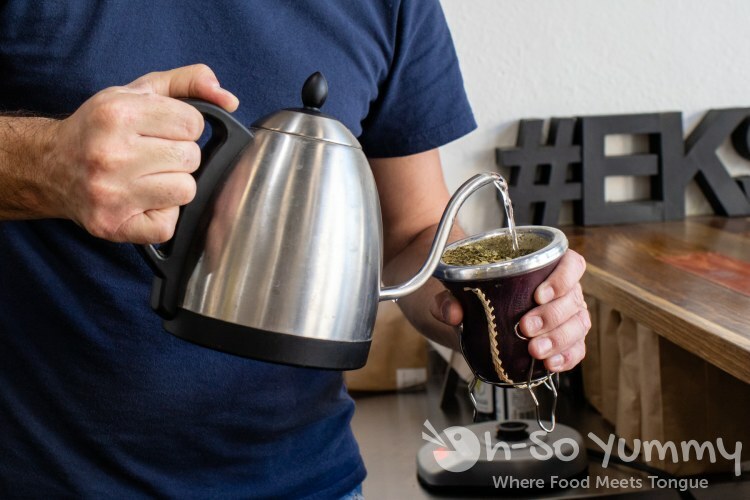 I was also introduced to their daily addiction... yerba tea. 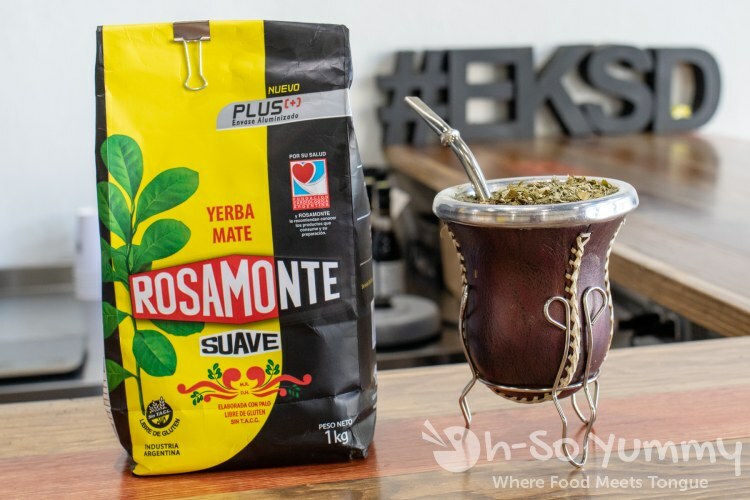 This is an Argentine staple which keeps them ticking throughout the long day! It has a bitter taste so not for me! They showed me the GUIDE sheet to decode what is in your empanada. 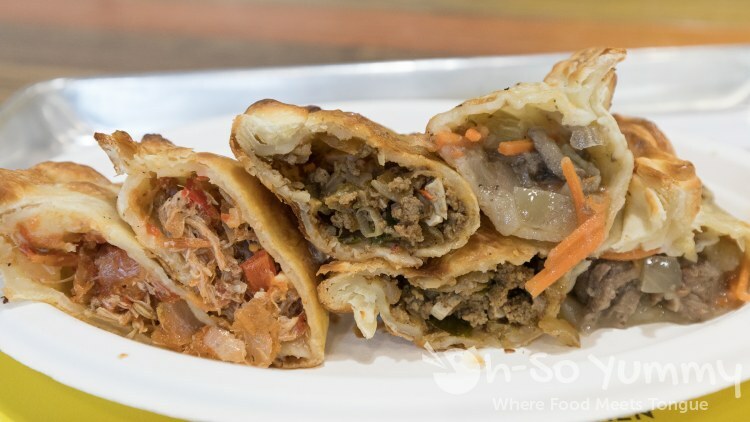 Each of these hand-made empanadas have distinct dough shapes based on the filling inside. No "mystery" meat for vegetarians or veggies for meat lovers! 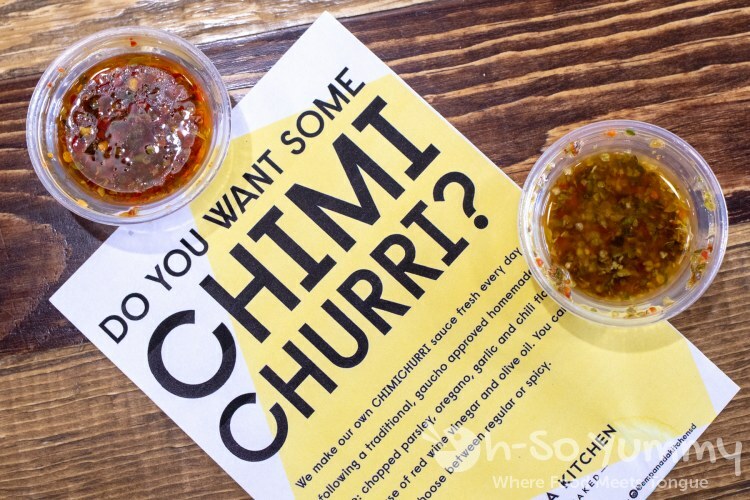 You can't forget about the complimentary chimi churri! 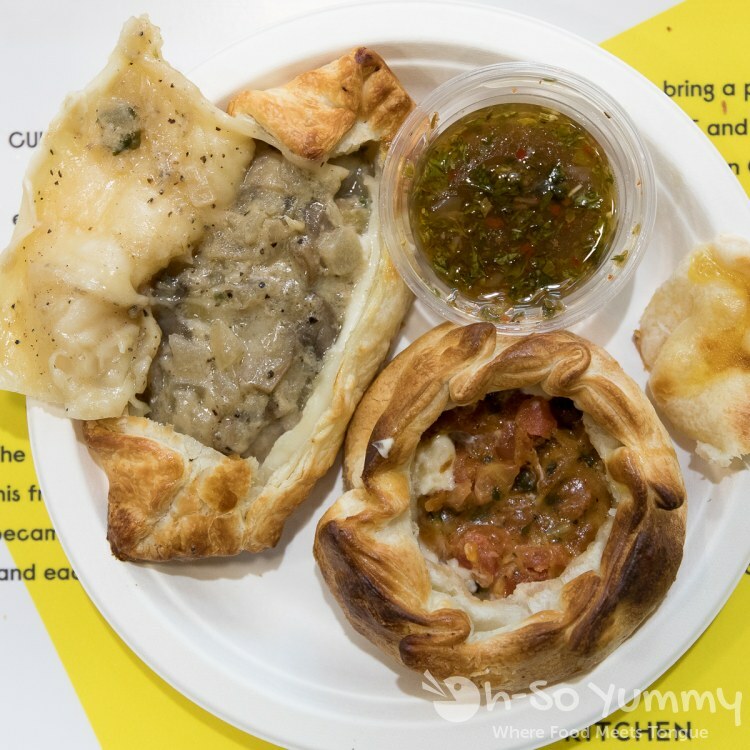 Empanada Kitchen offers both a regular and a spicy version. I do like the extra spices from dipping in the sauces. 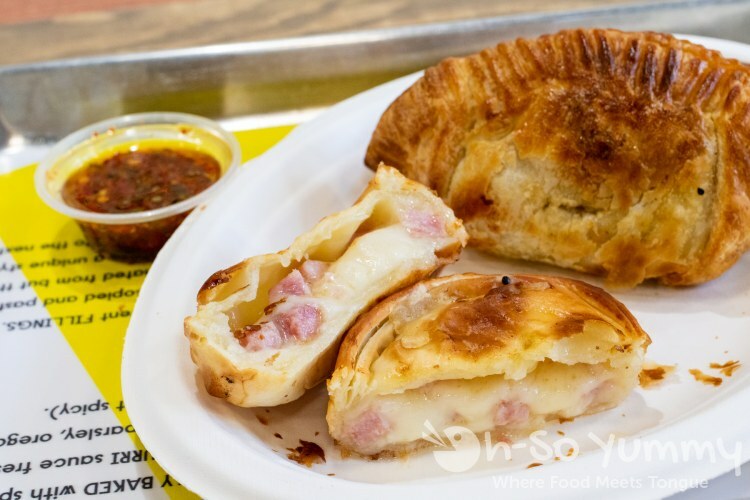 Here's one of my favorite empanadas from my visit... Ham and Cheese is a match made in flakey pastry heaven. Just do it. And... cross sections because it's what we do. Flavors from left to right were chicken, beef, then lamb. Our favorite of these was the lamb, savory like a shepherd's pie with gravy wrapped in pastry and stewed for 24 hours. Chicken was juicy and fully packed while the beef was mildly spiced and nongreasy. Next up were vegetarian options including sweet corn & basil, ratatouille, and goat cheese & mushroom. The first was like corn chowder with a hint of basil, so delightful in this bite size form! The mild veggies of the raratouille made me think of chimichurri without the oiliness. If you can sneak in eggplant and it still tastes good, you're doing it right! Dennis isn't a fan of goat cheese but the last one captured his tastebuds, giving us this pleasant combo of creamy mushroom with a subtle goat cheese essence. A different view from above... we cut open this pair like an eagar can opener. On the right was caprese with richer, strong cheese flavors yet not overbearing. One more goat cheese empanada rounded out this last plate. 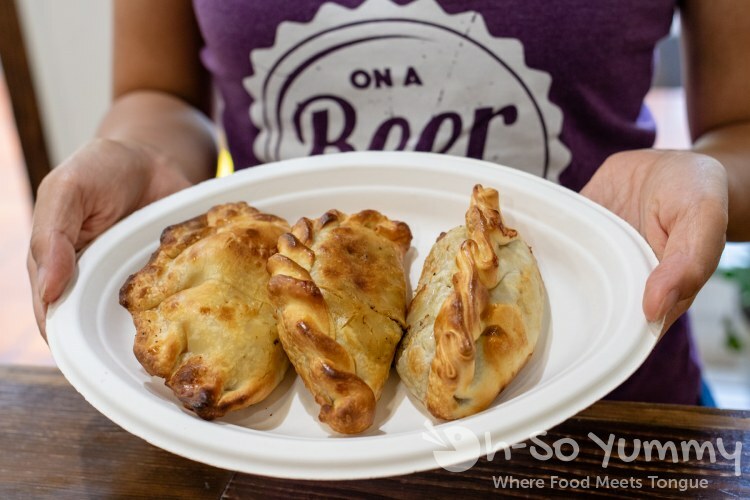 All empanadas had a toasted pastry shell that crumbled deliciously into your mouth. The edges were a little thicker like pizza crusts where the dough folded onto itself. You'd never guess these were made with vegan dough (no eggs or butter)! 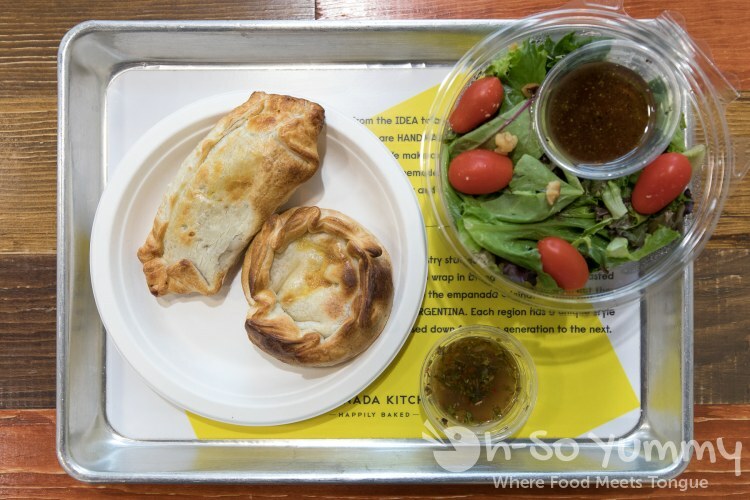 You can buy empanadas individually for $3.50 each but there are also two meal deals, $9.50 for 3 empanadas OR $9.95 for 2 empanadas and a salad. For us, we'd want to eat around 4 empanads to be completely full but the meal deals make for a light and tasty lunch. Out of all flavors, my favorites were the corn, lamb, and ham & cheese (hard to pick just one) while Dennis's favorite was the goat cheese one and lamb. Empanada Kitchen uses sustainable serverwear including cornstarch forks so great for my belly AND the environment too! 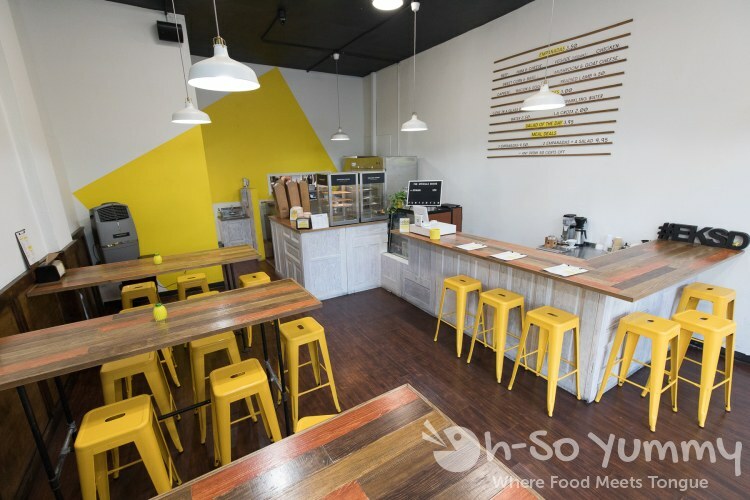 We were quickly converted into fans of this spot and would recommend visiting this mom and pop shop with a chance to fall in love yourself! Disclaimer: We were invited to dine here and our meal was complimentary. We were not otherwise compensated and all opinions stated are our own.